"Lasallians Without Limits" is the Lasallian theme for the 2017-2018 liturgical year, which begins December 3, 2017. Lasallians are invited to explore and celebrate the theme in their ministries and communities. Lasallian Reflection 3 accompanies the theme and first focuses on global trends indicating radical changes in demographics and the environment and then calls for the creation of sustainable communities. The reflection is divided into four sections titled: radical changes in demographics and the environment, citizens of the world and beyond its borders, going to new borders requires discernment, and a look at the present and the future. It encourages Lasallians to respond to these radical changes and offers questions for personal and community reflection. After the 45th General Chapter, the Brother Superior and General Council developed themes through the year 2021 in the spirit of the Chapter. Each yearly theme supports the overall theme of "Living Together Our Joyful Mission." 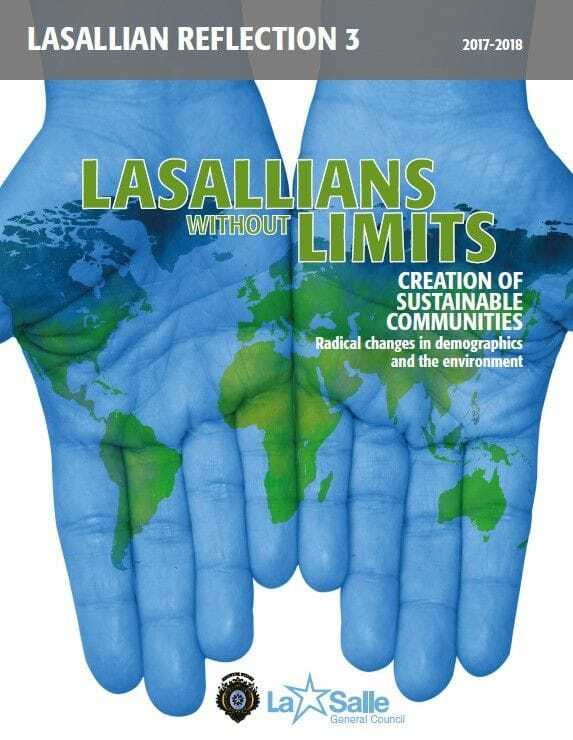 Read the Lasallian Reflection for "Lasallians Without Limits"